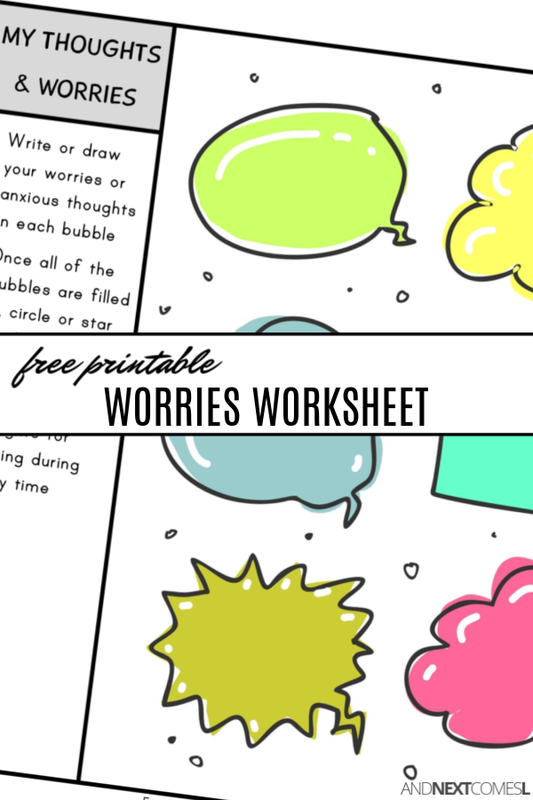 If you have an anxious child, then this free printable worries worksheet is a helpful tool for letting your child with anxiety write down their worries and anxious thoughts. Anxiety issues have been common for my son. From school anxiety a couple of years ago to anxiety about the weather all last summer, he just gets worked up about certain situations and scenarios. Now his weather related anxiety is specifically related to hail and storms mostly, so with the arrival of spring, we know that it's prime time for that weather anxiety to return. And we want to make sure he knows how to express his worries and anxious thoughts. 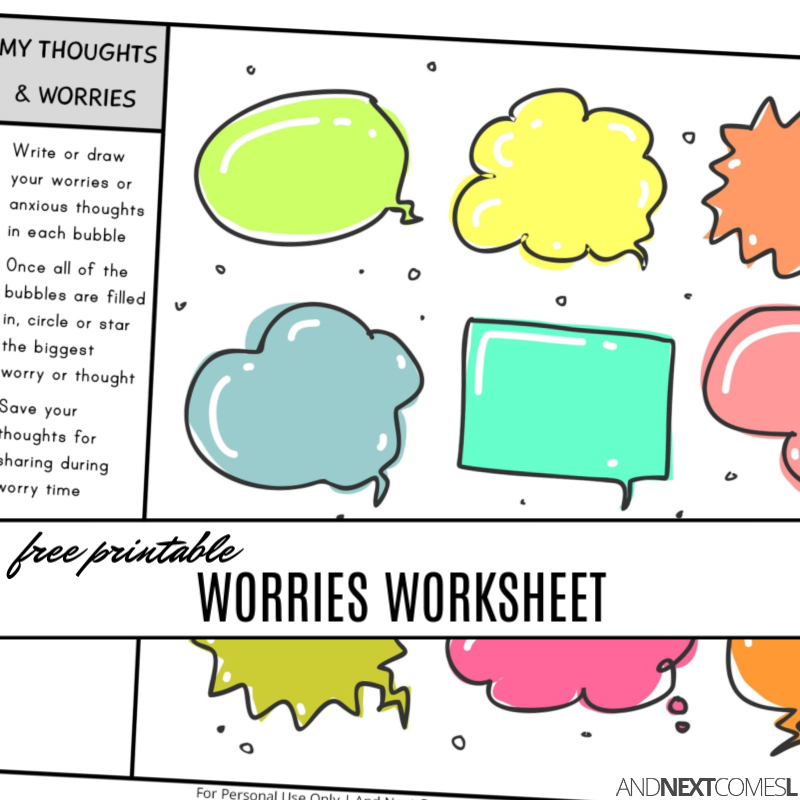 This free printable worries worksheet is one tool that he can use to brain dump his thoughts and worries so that we can discuss them together. This one-page printable is a dumping ground for your child. A safe place for them to write down all of their anxious thoughts and worries so that they can share their worries with you during a designated safe sharing time (aka worry time). To get your free copy of this printable, simply click the link below.